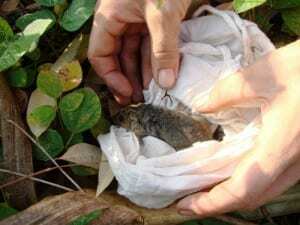 Soon after, the AWC Northwest ecologists ventured into Artesian Range for live trapping and found a number of clustered locations that these species, the “Artesian specials” were found. Having proved that they weren’t all extinct in this region, the next question was to determine the how far their ranges extended. If Artesian Range was a “sink” for the exciting mammal species, then inventories of the species in the areas that they could feasibly disperse into had to happen, on to other parts of the AWC property as well as neighbouring government Crown Land and cattle stations. Check out this awesome video about AWC’s work in Artesian. I got the call to join two trips to the area (in November 2012 and January 2014) to trap sites on possible dispersal routes out of the Artesian hotspot, to see how far their ranges extend. I went to each trip with extremely high hopes, but a sleep-depriving fear that they might be too far from the centre to find the scaly-tailed possum. These two times of year are actually quite challenging to work in – November’s season is known as the “Build Up” – the hottest and most humid time of the year, before the monsoon hits. In order to avoid the 40+°C heat and the 80-95% humidity, we would check our mammal traps between about 4am and 8.30am, and then sit in a cave or a pond we could be reasonably confident lacked saltwater crocodiles all day until we could venture out to reset the traps in the evening. 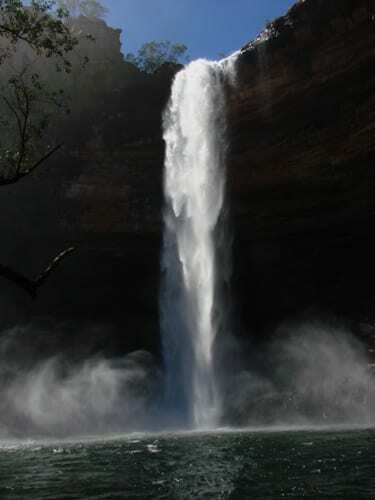 Every four or five days the helicopter would come and drop us in a site that had the characteristic sandstone gorges with boulder fields, rainforest and vine-thicket pockets. We hauled our equipment over creeks and rock features (rarely through creeks as saltwater crocs were EVERYWHERE: standing by camp on one of the sites one night – on a major tidal river – I counted seven between me and the far bank) to see what species we could find. We laid traps and cameras, and spent the nights searching by spotlight. 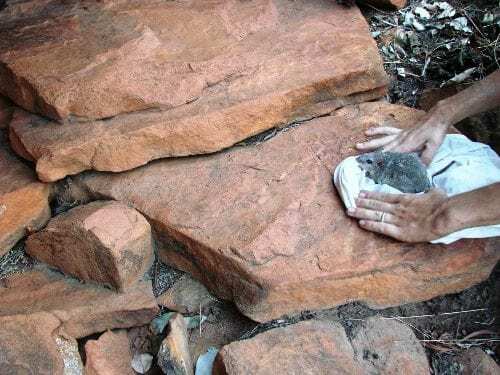 November 2012 was a good trip – we found golden back tree rats in a couple of spots (in the tree above our tents, it turned out), monjons and Kimberley rock rats. This was amazing, but not the dream scaly tailed possum (or golden bandicoots). I’d have to go back. January 2014 gave me a taste of the Wet Season in full swing. It’s an incredible time of swollen rivers, suddenly appearing waterfalls and six hour long thunder storms where lightning flashes more than once a second. The amazing things that the water did to the gorge-ridden landscape made it impossible to resent the inch of water in my tent. 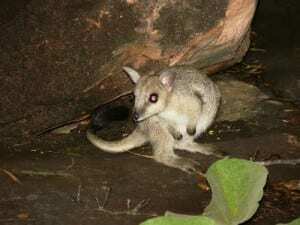 Once again, the holy grail evaded me – rock rats were everywhere, and we had some exciting encounters with more common species like an echidna, quolls and ningbings, but the scaly-tailed possum stayed out of reach. Frustratingly, a week or so after we left one of the January sites, a possum wandered through one of the camera traps we left set in the forests. Obviously I’m pleased the species is there, but I can’t help feeling that nature is cruel. 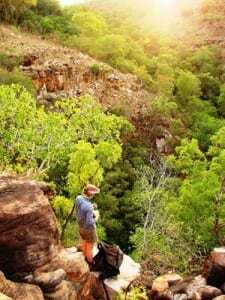 Of course, you can’t prove absence, but trips like this have helped determine that the Artesian Range’s special species seem not to venture too far. 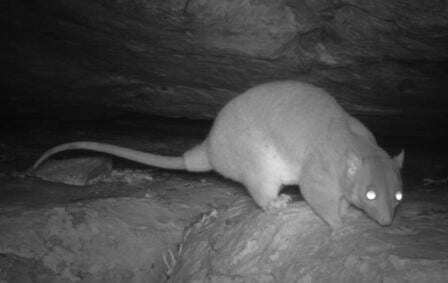 Now that the inventory of neighbouring properties is drawing to a close I’ll have to get myself onto one of the trips back to the heart of this amazing, extinction-free oasis, and finally set eyes on that scaly-tailed possum.